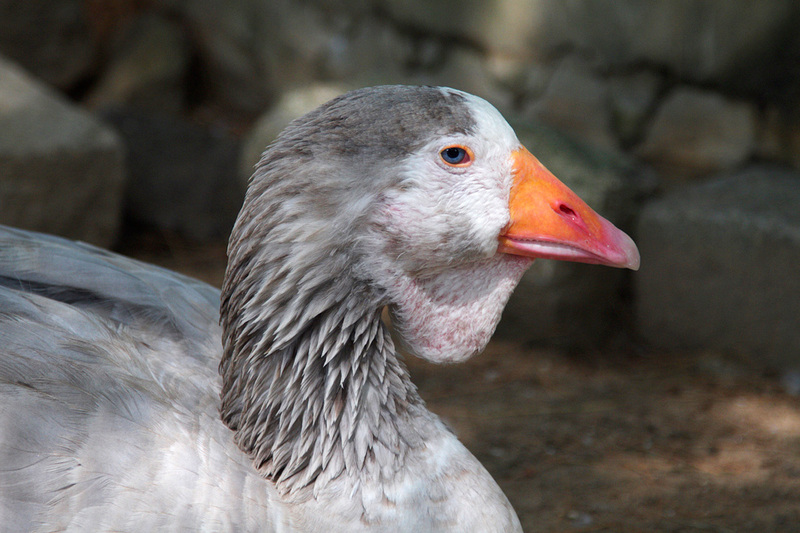 DESCRIPTION: Greylag goose plumage is grayish-brown, with pale margins on feathers in the upper part. They have white bellies and grayish shading on the lower breast. They have a large, orange bill. The average length of a mature bird is 31 inches. Their wingspan ranges from 57 to 70 inches, with the average being 64 inches. They weigh between 5 ½ and 9 pounds, with males being heavier than females. HABITAT: During breeding season, lowland marshes with a lot of vegeration, as well as offshore islands. Outside of breeding season, fresh and salt water marshes, estuaries, pasture lands and potato fields. FAMILY LIFE: Greylag geese are highly gregarious outside of the breeding season, with large concentrations of up to 25,000 individuals forming. Birds nest from early April – May, laying 5-8 eggs in a large nest amongst floating vegetation or hidden in reeds. 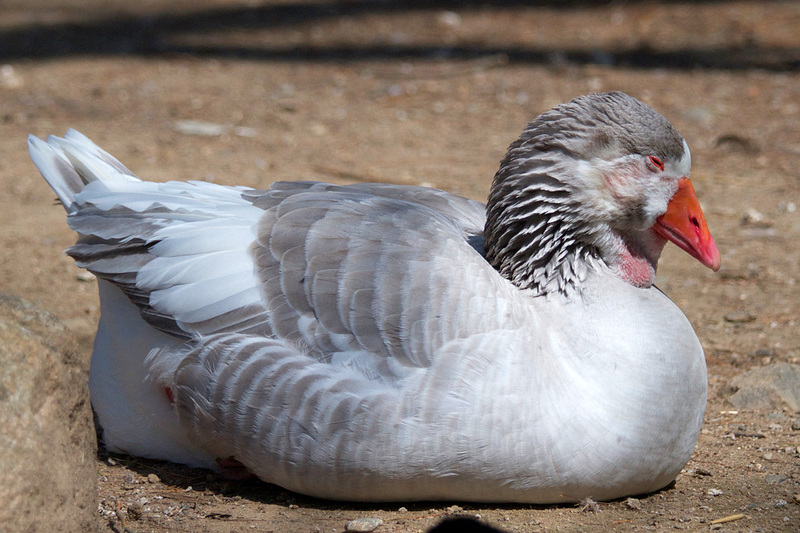 Unlike many species of waterfowl, the male goose or gander stays with the family group. Both parents guard the goslings against attacks from other birds or predatory mammals. The graylag family will remain together throughout the year and will migrate from their wintering grounds as a group, until the adult birds are ready to establish a new breeding territory. LIFE SPAN: The average life span is 20 years. May live 30+ years in human care.